Click on the image to see movie. 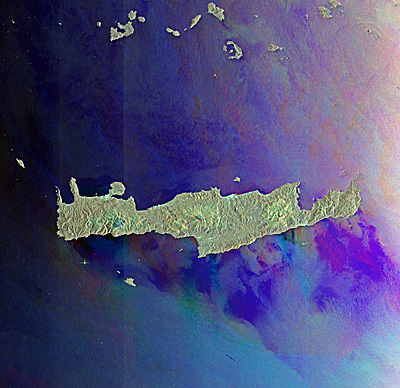 Credit: ESA. 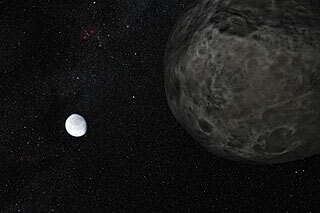 Artist's impression of Eris and its moon Dysnomia. 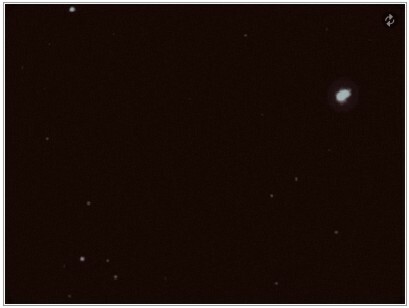 The MESSENGER spacecraft successfully completed its fourth orbit-correction maneuver today to increase the period of the spacecraft’s orbit around the innermost planet from 11 hours 46 minutes to a precise 12 hours. 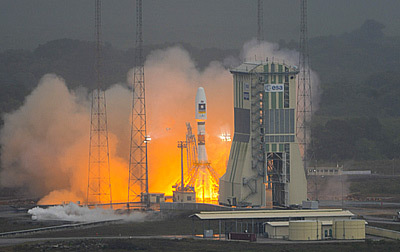 MESSENGER was 198 million kilometers (123 million miles) from Earth when the 159-second maneuver began at 6:12 p.m. EDT. 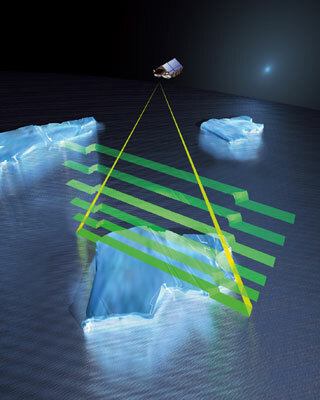 Mission controllers at The Johns Hopkins University Applied Physics Laboratory (APL) in Laurel, Md., verified the start of the maneuver about 11 minutes, 1 second later, when the first signals indicating spacecraft thruster activity reached NASA’s Deep Space Network tracking station outside Goldstone, California. This is the fourth of five maneuvers planned for the primary orbital phase of the mission to keep orbital parameters within desired ranges for optimal scientific observations. MESSENGER’s orbital velocity was changed by a total of 4.2 meters per second (9.4 miles per hour) to make the corrections essential for continuing the planned measurement campaigns. Most of the instruments were placed in a passive state during the burn, but the instruments were reconfigured at 7:05 p.m. EDT to resume scientific observations of the planet. MESSENGER Mission Systems Engineer Eric Finnegan, of APL, said the engine burn was executed as planned. 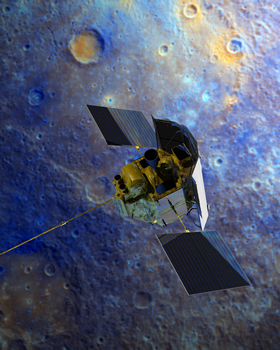 “The team was well-prepared for the maneuver, and MESSENGER is right where it needs to be to continue revealing new details about Mercury,” he said. The next orbit-correction maneuver is scheduled for December 5. Bluebell, what a lovely fresh word evoking joy, wonder and energy. These were the qualities I found in the children who took part in Deadly Moons at their school in west Dublin on Tuesday September 27th. This group had multicultural backgrounds, Irish Travellers, Irish, Polish, African the Philippines and other communities were represented in their little faces. The woman in the Moon ( adapted ) from a Traveller legend was one of the stories I told about the full Moon. I used Peter Riesett’s black and white harvest Moon image to put over this story as his photograph clearly illustrated the Woman in the Moon hidden in the lunar maria very well indeed. Several children were captivated by this story which I found on The Barefoot Pavee website. I like to tell tiny stories about various moons in the presentation as children listen and retain stories better than just plain facts. Once again Saturn’s moon Tethys was a must do for some children, while the image of our Moon in false colour prompted many positive vocal gasps. Lennox was very keen to try to draw the harvest moon in black and white including the Woman in the Moon. Eddie age 9 was such a busy helpful boy, he produced an energetic drawing of our moon in false colour including Tycho and its rays. Ben age 8 created a gorgeous subtly shaded moon in false colour and added an explosive Tycho crater ray system afterwards. There was great variety in the drawings produced by this group , Atlas by Aaron age 8 , Callisto by Saviour , First Quarter Moon by Alannah age 9 and a half, all wonderful drawings !! The entire group were very engaged, there was a lot of energy in the room all going into the drawings and the learning. As each moon was finished they were put on display until all the work was on the wall, looking great. Our Lady of the Wayside National School is under the DEIS scheme and benefits in many ways because of it. Creativity in the Classroom facilitator Liz McMahon invited me to run my workshop for the children of Ms.Dalton's 3rd and 4th and Ms. McDermott's 3rd and 4th classes. The school also had an excellent audio visual set up, this is one of the many extra‘s this school has at its disposal because it is in a designated disadvantaged area. Moon cards provided by Jane Houston Jones JPL/NASA were given to each child. Educational outreach material which was also provided by JPL/NASA was given to each teacher for the classroom. 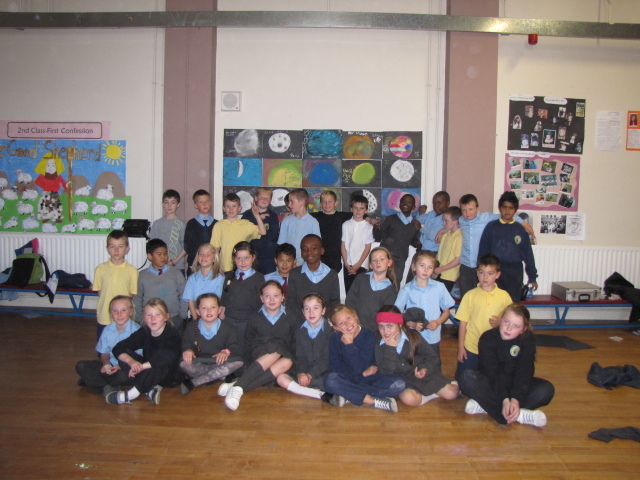 A few children who lived near the school were invited to talk to me after the workshop to see how it all went for them. The interview is here, unedited just the way it unfolded, some quiet children, some very vocal children, all little gems. NASA's MESSENGER spacecraft has discovered strange hollows on the surface of Mercury. Images taken from orbit reveal thousands of peculiar depressions at a variety of longitudes and latitudes, ranging in size from 60 feet to over a mile across and 60 to 120 feet deep. No one knows how they got there. 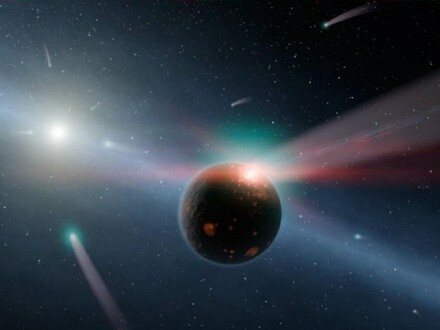 Artist's impression of comet storm around Eta Corvi. Image credit: NASA. 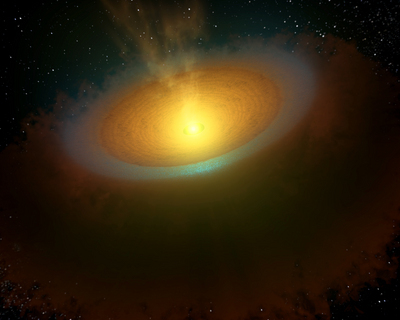 Artist's impression illustrates an icy protoplanetary disc around the young star TW Hydrae. Soyuz lift off. 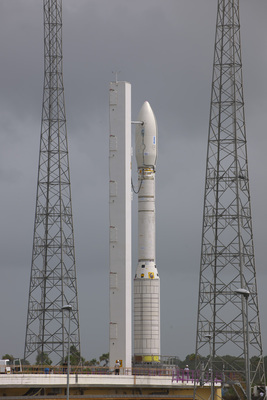 Image credits: ESA/CNES/ARIANESPACE - S. Corvaja, 2011. Image credits: ESO/D. Minniti/VVV Team. 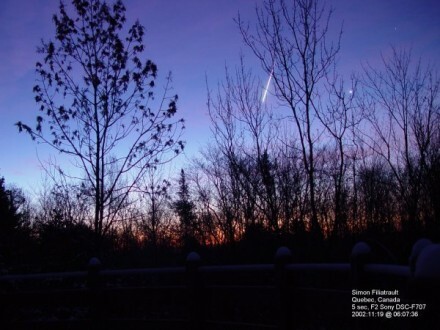 A fireball crosses the sky. 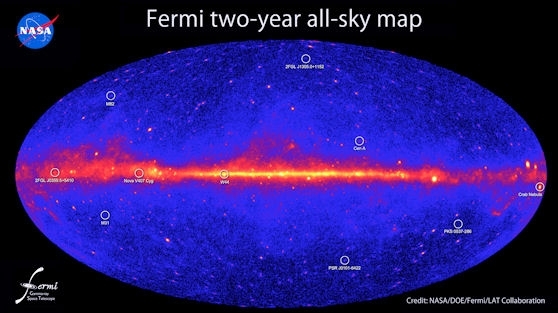 Image credit: Simon Filatroult. 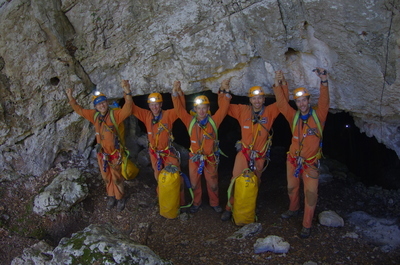 The caving team after return to the surface. Image credits: ESA / V. Crobu. 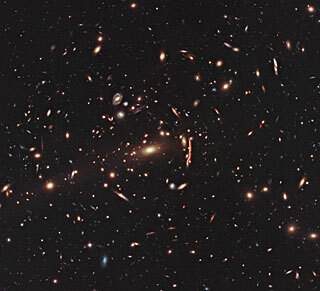 Hubble image of galaxy cluster MACS J1206. 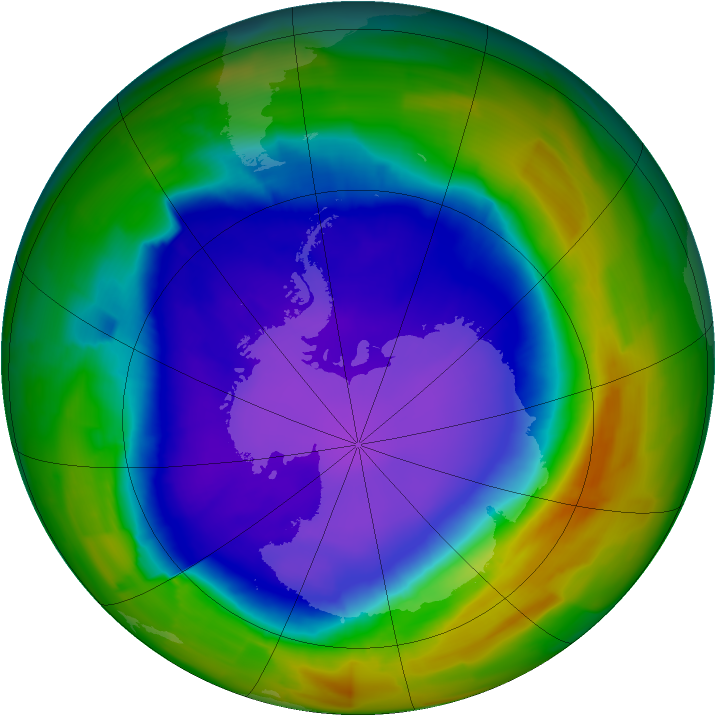 The Ozone Hole on October 8th. 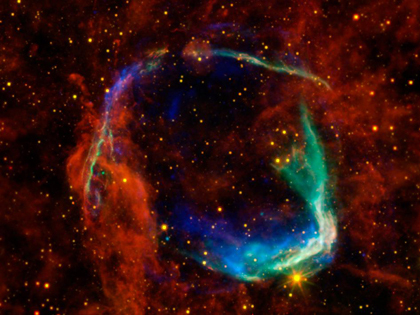 Image credits: NASA/NOAA.